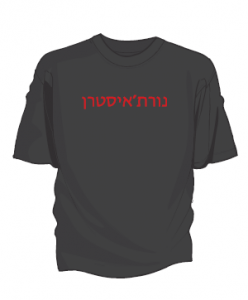 Northeastern in Hebrew T-shirt - These t-shirts look great! Buy one for yourself or as a gift and spread the Northeastern love! Shirts are being sold for the terrific price of $10 and come in sizes S, M, and L.